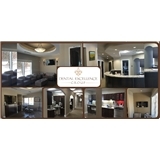 Dental Excellence Group (Dumont) - Book Appointment Online! Welcome to Dental Excellence Group Dr. Nicholas Bochi and his partners are recognized leaders in the field who deliver exceptional dental care utilizing the most advanced technologies and procedures to deliver the best possible outcomes for you and your family. Our dedicated staff is devoted to ensuring an exceptional patient experience every time. Call us today to learn more about how we can help you on the road to a beautiful smile and healthy teeth. Our dentists proudly serve the greater Bergen County, New Jersey area including Bergenfield, Dumont, Norwood, and Hackensack. I found Dr. Bochi online and went for a check up and cleaning. All of the staff are friendly. Jazmin the dental hygienist was super kind and careful with my teeth. She addressed all of my concerns and went through step by step what my dental hygiene procedures should be daily. For example, I recently began using a water pick flosser and she went through the proper way to use it and the angles I should use. She was very thorough and I feel brand new. I was not rushed at all which is a plus. There's nothing worse than feeling rushed at a doctors office. The office is clean and the decor is beautiful. Dr. Bochi reviewed my x rays and was also very friendly and professional. Dr. Bochi is honestly excellent! I went back into the office after a great first experience for a two fillings. He and his staff went of their way to make me feel comfortable and explained exactly what needed to be done. He took his time which as I mentioned is what you look for in a dentist. I have to admit that i am normally very nervous when i go to the dentist. Im sure most people are. However, I guarantee that once you are treated by Dr. Bochi you will schedule all future dental work with him. My filling did not bother me at all. The entire procedure was painless and I am in awe. Im so glad that I found this office. They will not let you down. Thank you to Dr. Bochi and the staff for such an excellent dental experience.